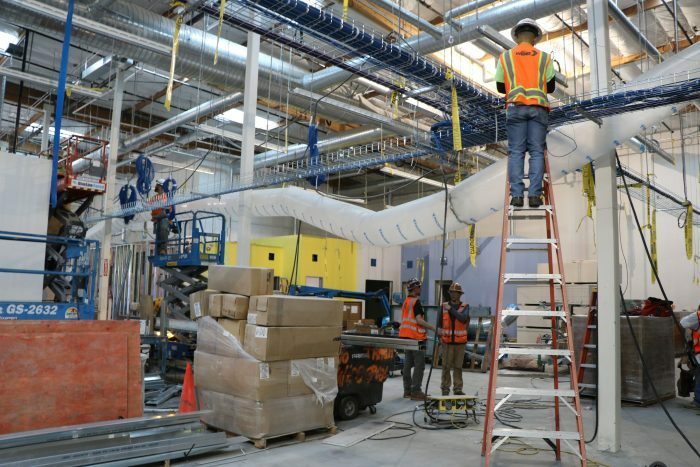 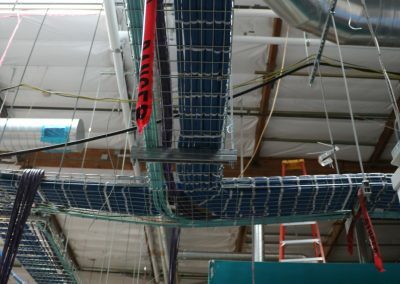 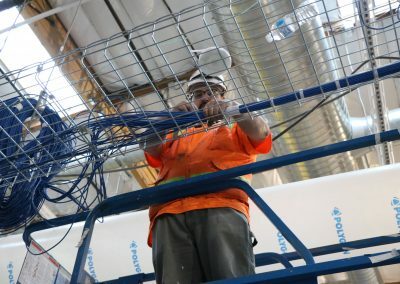 This project for Facebook was a unique one in which all the station cabling needed to be perfectly dressed inside the exposed cable tray throughout the entire building. 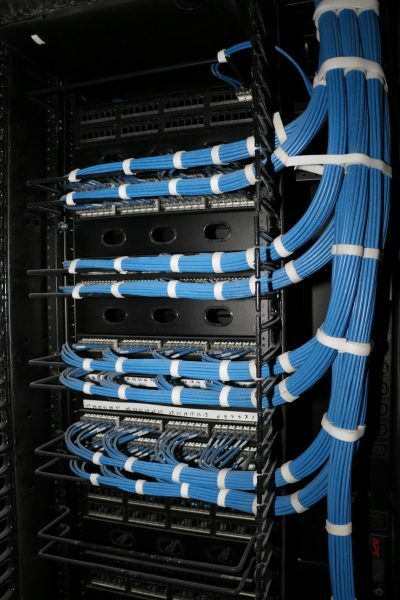 This included dressing the cable even when cables exited the cable tray to J-Hooks and through J-Hooks. 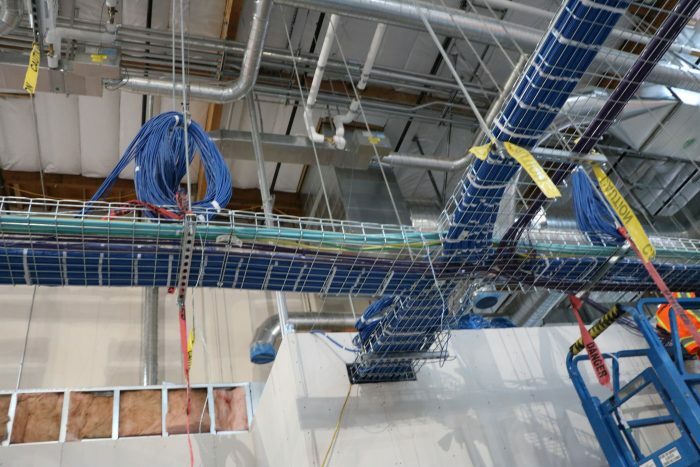 All cabling was dressed in bundles of 24 cables. 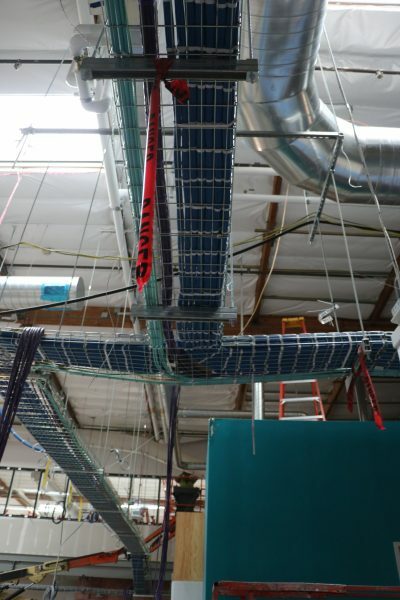 There was a lot of pre-planning and numbering that needed to happen in order to make this install turn out perfect. 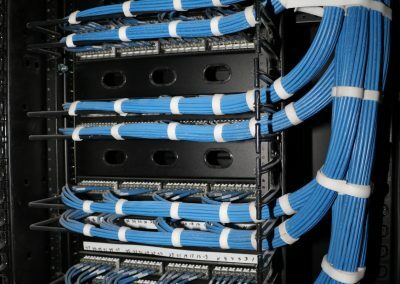 Fiber and copper backbones were run to each of the (4) IDF’s. 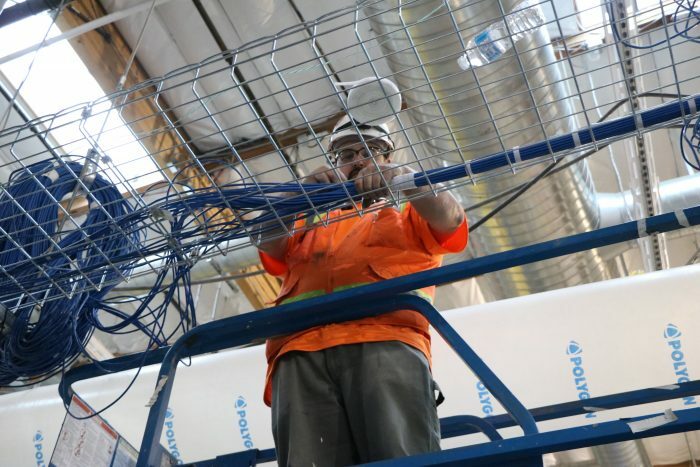 It was a fast paced project which required a day shift crew as well as a night shift crew.